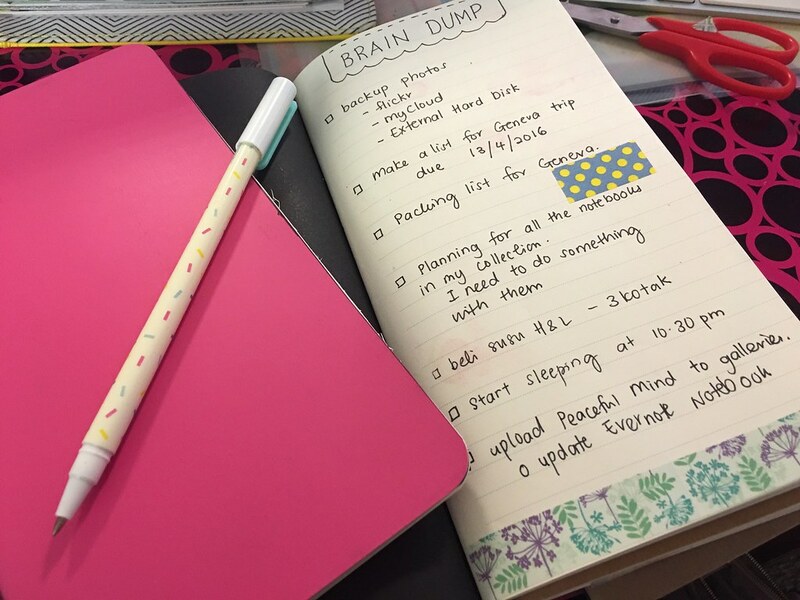 I have been obsess with bullet journal and brain dump lately. This is something that I have been trying ever since I discover planner. I have always love writing, journaling and all things related to notebook and stationaries. There are so many ways that you can used to do your brain dump. The simplest thing you need is a pen and a notebook. Since I don't carry my notebook or my planner everywhere I go, I try to find other ways for me to capture things, thoughts and ideas on the go. 1. Camera phone + iPhone Notes app - I collect most of the things visually with my camera phone. Sometimes when I was out and about I like to take photos of books I wanted to look into later. I snapped those photos and put them in my notes app. I am loving the new Notes app especially when it support inking and lists. 3. Traveler's Notebook - I have been meaning to try traveler's notebook since last year but somehow I didn't get around to it. This year I have been exploring and writing things down more in this type of notebook. I really loving the size and how light it was to carry around. I might use this notebook as my master brain dump lists. 4. Google Keep - this is the latest tool I am trying on my phone this last few days. I kinda like it. This is like having a post it note with you all the time. 5. 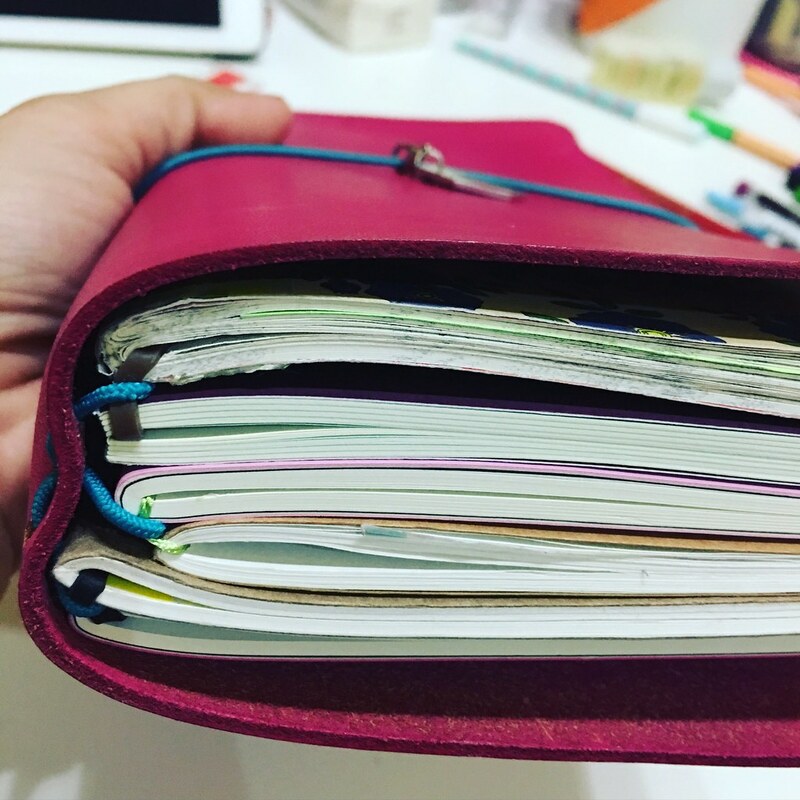 My journal - I would not have thought a journal is like a brain dump but when you think about it, journal is a place where you pour all of your most deepest thoughts and feeling . It is a brain dump. When the words and the feelings are out there it's no longer in your mind. Having all of these tools to help me stay organize and on top of everything is really helpful. Like David Allen said in his book Your Mind is for thinking and generate ideas, not for storage.